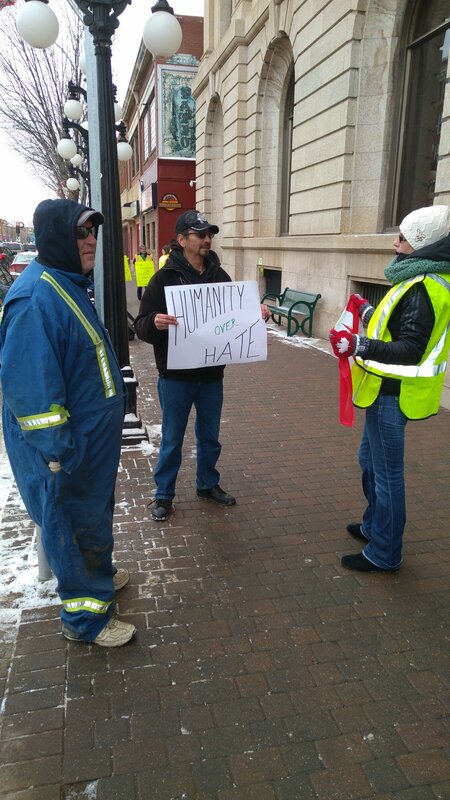 The last time Al Church protested anything was 40 years ago and back then it was against the Vietnam War.This past Saturday morning he helped organize and participated in a Yellow Vest Rally in front of Moose Jaw City Hall. Church said they had expected about 30-40 people but he still was not disappointed in the 15 who came out in full support. 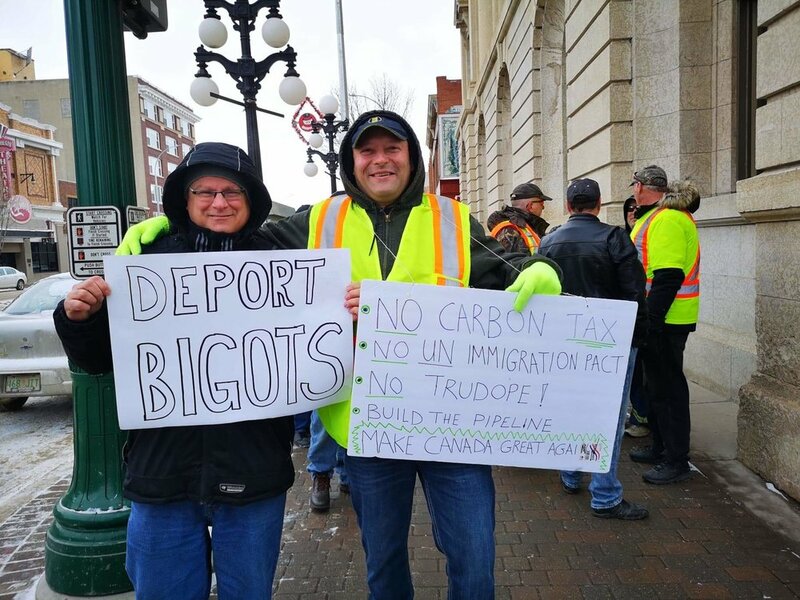 Except with the odd call of racist and a rhetorical response of Communist the Yellow Vest Rally in Moose Jaw went off without a hitch. The Saturday morning rally had about 15 yellow vest supporters and six counter demonstrators. “We are here for two main reasons it is to protest Bill C69 which restricts pipelines in our country. And the UN Migration Pact we don’t want unrestricted immigration to Canada,” said Al Church rally organizer. “This is definitely not against immigrants. Immigrants built this country,” Church said, adding he himself was a child of immigration with his grandparents immigrating to Canada. Radial Islamics who had already demonstrated violence abroad concerned Church. “We don’t want ISIS people back here,” he said regarding people from Canada who willingly fought for the terrorist group. In the area of racism Church disputed the group was in fact that but they were in favour of legal immigration. One of the big issues the group was protesting was the stranglehold and the lack of action on building pipelines to get Canadian crude to market. Sheila Wolfe White was another vocal Yellow Vest protestor who said the memes many people sharing on the Internet are a sign of frustration and has nothing to do with racism. Some of the counter demonstrators had earlier pointed to the social media accounts as proof positive the Yellow Vests were racists. Del Crowe is a member of the Piaget First Nation attended the rally to counter demonstrate because he saw the Yellow Vest movement as being infiltrated by white supremecists. “The yellow vests have been infiltrated by white supremecists,” Crowe said, adding though he saw nothing publicly on display at the Moose Jaw rally. “Muslims are as Canadian as anybody,” he said, noting Canada had many immigrants which included Muslims. Regarding pipelines Crowe said he was not opposed to them so long as they were clean and did not destroy the environment or pollute. Asked about the right of the Yellow Vests to speak out he had no problem with it so long as it was not hate speevh. About the Carbon Tax Crowe said he did not agree with the Carbon Tax as it’s being applied. “I don’t agree with the Carbon Tax. Why should ordinary people pay for the Carbon Tax,” Crowe said, adding it should be up to big industry to pay it.